Code Collective is a software development partner for ambitious, tech first entrepreneurs. We provide product ownership services, an experienced development team, an agile process and unique partnering models that support building your amazing products at the lowest risk. 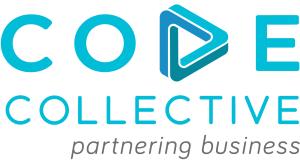 Code Collective deliver specialist development, agile methodology and product ownership services that help dev teams and the decision makers deliver value. Read more about using Code Collective to support your existing development capability. 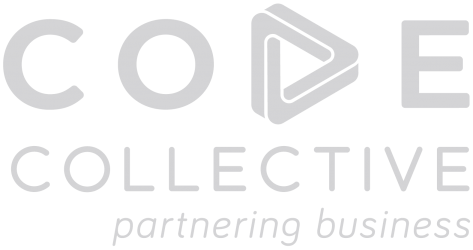 Contact us to learn more about doing business with Code Collective. We are a lean and value-focused coding team. When collaborating with a great partner we develop high value software at the lowest risk. We believe that stable, high performance teams are central to delivering a good experience to our partners. 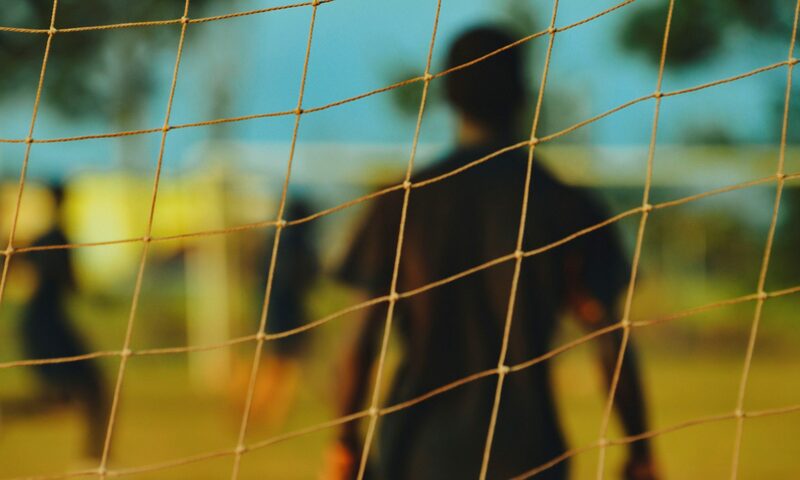 We value teams over individual heroes. Teams provide greater perspective, balanced skills and they are a vehicle for shared knowledge. Teams are resilient. We prioritise teamwork at every step of the process. Design and plan sessions involve all stakeholders. Pair programming, code reviews and feature demos are baked into our thinking. Our teams are made up of smart, intelligent people – who are awesome. We like to work with smart people that are looking to develop themselves and their skills. We believe in allowing unique strengths to flourish so they can compliment the team as a whole. Our agile process provides a framework for successful high-value software creation. In order to collaborate successfully we need a process that allows our team and our partners to trust that all the required interactions needed to build great products are happening. We use an agile framework because it allows us to realise the vision entrepreneurs have for their product and business at the lowest possible risk. Developers use practices that complement our agile process which in turn complements the goals of our partners as well as our desire for lean product development. Devops is a strong focus. We like to automate all the boring repetitive stuff so we can focus on more valuable activities. Developers spend about 0 minutes each week copying files around for deployments to QA and Live environments. Developers adopt practices such as test automation, code refactoring, pair programing, and code reviews. These practices reduce the risk of regression, reduce the need for up front design and increase quality which allow us to release functionality faster. We use our retrospectives to continuously adjust and improve our way of working and we surface our chosen metrics in real time in the office. You can learn more about our tech stack here. These are some of our partners, all cleverly adding value in their industry. Using a tablet, headset and the Guidepost app nurses are able to work remotely providing over-the-phone care to thousands of people with chronic illness. TruckFuelNet have developed the largest independent network of truck refueling stations in South Africa. Via our system, fleet owners manage their vehicles and drivers from wherever they are and drivers experience a slick cashless experience for services they purchase en-route. Zimele run the only real time, prepaid vehicle tolling in South Africa. They command a significant portion of the commercial vehicle tolling business along the N3 route. Trucking companies choose Zimele over the banks for real time transaction reporting and fraud detection from the system we develop for them.